As China’s economy slows down it is entering into a transitional period of restructuring. Studies from Kantar Worldpanel, through continuously monitoring 40,000 urban households, show that convenient and healthy food such as cereal, frozen food, and diary product maintain a rapid growth rate. Among them, the average spend of each household for dairy product is the highest. As a large-scale (203.6 billion), high-penetration, high-annual-spending and fast-growth (5.2% growth rate) sector within the category of FMCG, manufacturers of dairy products are still confronted with many challenges. 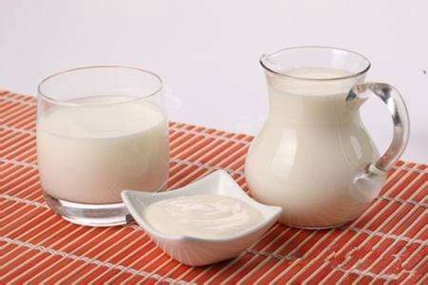 Among them, the sector of normal temperature dairy product, in the place of strategic importance for different factories in this area, has greatly put a brake on the development of the whole market. Comparing data over the past two years, we find it remains a mixed blessing in the market of the normal temperature dairy products. Developed categories, such as high-end white milk and normal temperature yogurt are not only enjoying high penetration and large volume but are also seeing growth in these measures. However, categories focusing on taste and concept, such as functional milk, breakfast cereal milk and snack milk, are finding it hard to gain a foothold in the market and have experienced consecutive periods of decline. In addition, normal-temperature lactic acid bacteria has emerged as a new star recently. How to spot opportunities for developed category? Premium white milk and normal temperature yogurt product are the two important diary categories and are normally of strategic significance to many dairy manufactures. As of the end of 2016 normal temperature yogurt has broken the limit of freezing yogurt and significantly expanded the transportation radius. Besides, this yogurt product outperformed high-end milk with the growth rate of 41.0% and is in possession of the largest scale of shoppers and trip spending. Within this category, leading factories are extending the types of products through new and innovative flavours. Yili, Mengniu and Bright Dairy introduced a variety of tastes such as “Anmuxi Vanilla” “Pure Cheese” and “Momchilovtsi with two fruits and three vegetables”, shifting from single product to a mix of products. So the competition amongst the brands is intensifying, even more so as local businesses like Shengmu, Sanyuan, China Modern Dairy and Wondersun make their way onto the battlefield. High-end while milk, a time-honoured product, involved from the level of low end to high end in the category of white milk, having gained the recognition from consumers thanks to its enduring progress. Major brands sustain their market share. For example, Mengniu, Yili and China Modern Dairy have dominated the market with a share of over 85%. According to the research of Kantar Worldpanel, despite the fact that high end white milk occupies an important position in the gift-market, high-end white milk is expanding rapidly in the self-drinking market. An increasing number of consumers who are in pursuit of high quality have increased their demand for self-drinking high-end white milk. Considering this, manufacturers are constantly striving to improve the quality of their white milk products in order to remain competitive in this category. How do can the poorer performing categories return to growth? The decline of flavoured products (cereal milk, leisure milk, etc.) and conceptual products (children's milk, functional milk, etc.) were significant features of the normal temperature dairy products category in 2016. Based on the analysis model of Kantar Worldpanel, tasty and concept products are comparatively less competitive in the market, in comparison with the high-end white milk and normal temperature yogurt. With the increases of the education level of Chinese consumers and the information explosion in the era of internet, consumers have increased their demand for dairy products, especially the functional types. This means manufacturers need to find ways to differentiate their product from the competition and identify new consumption occasions to target in order to grow their penetration and share of the market. (1) Normal temperature lactic acid represents a large share in lower-tier cities with remarkable performance. (2) Grocery store emerges as an essential channel in the normal temperature lactic acid market. The sale of medium bottles is improving while small bottles are appealing to young families with children in their earlier age. There is a huge potential for the development of normal temperature lactic acid, which is favoured by insiders. In the future, the market of dairy products is full of opportunities and challenges. The developed categories need to seek further opportunities and inject vitality into the whole sector while maintaining the rapid development. On the other hand, declining categories need to communicate with consumers continuously and we will positively sharpen the product competitiveness to keep up with the times. For the entire industry, continuously developing new categories to meet the ever-increasing demand of consumers will be a key source of growth.